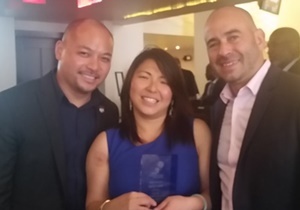 On October 14, 2017, the Day Care Council of New York honored CPC Early Childhood Services Director, Mary Cheng, as an Unsung Hero of Early Childhood Education. For the past ten years Mary has inspired volunteers, staff, and parents to be caring and active parts of their student's lives. Growing up in the community and understanding the challenges children of immigrants face first hand, Mary tirelessly works to ensure that not only her center's families but all CPC families feel empowered to access necessary resources to improve their family's quality of life. 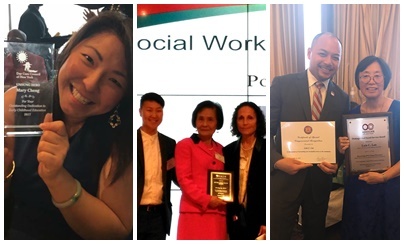 On October 19, 2017, the National Association of Social Workers honored CPC Assistant Executive Director and Director of Senior Services, Po Ling Ng. 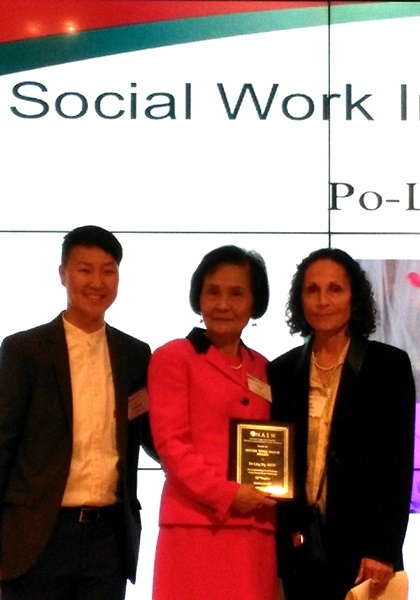 Po Ling received the Social Work Image Award for her years of dedication and work as a social worker in the nonprofit sector. Po Ling shared that she is inspired by Dr. Martin Luther King Jr.’s “I Have a Dream" speech. Social workers lift people up and bring communities together. As a social worker, Po Ling has taken the large challenge upon herself to help make people's dreams come true and bring people together to form a supportive community. Over the past 45 years, Po Ling has dedicated herself to the seniors of CPC's Open Door Senior Citizens Center, bringing the program to become the model senior citizen center at CPC. On October 20, 2017, OCA - Asian Pacific American Long Island Chapter honored Lois Lee, with the Distinguished Social Service Award. Lois is currently the Director of CPC Queen Early Childhood Center and Educational Specialist of the CPC Queens SACCC at PS20. Over her 30 years of service to the children and families of Flushing, Lois has brought attention to the importance of Social-Emotional development in a child's life. She has most recently brought the emotional struggles of "satellite babies" (children who are born in the US but are sent over seas for kinship care, due to their parent's working situation, and brought back to the US to live with their parents when they are old enough to attend public school) to light. The needs of "satellite babies" has not been spoken about in great length but Lois helped bring them to the forefront of many childcare conversations. Through the book "Satellite Babies", which was written by the CPC Queens SACCC at PS20, the numerous workshops and interviews she has given on "satellite babies", Lois continues to care for and advocate for immigrant and low income families. CPC is proud of Mary, Po Ling, and Lois for their accomplishments as they all continue to embody CPC's vision to advance and transform communities.